... in March of 2011 Hannu Lepisto released “Run Away With Me” -EP. The 5 track EP is by far an amazing album. Lepisto really showcased what it means to really come undone with this album. Having gone through a painful divorce, battling a heavy addiction and then almost succumbing to the almighty himself but before it could get any worst he was quickly surround and rescued by close friends and family from a further downward spiral. Since August of this year we here at Invaders Asylum received great response for the review with did about Finnish singer/songwriter Hannu Lepisto. And for the most part we were asked if an interview would ever happend with the talented singer/songwriter. So in late September yours truly asked if we could conduct an emailed interview with Hannu Lepisto. And in doing we were granted access to asked the questions we though that might be of interest to you (the fans) and of course us! Ava-Invaders Asylum: When and why did you start playing music? Hannu Lepisto: Hi and thank you for the honor for asking me for an interview. But that was long since I started to actually play something. But after I saw my brother's band supporting quite famous Finnish gospel rock band - I had the chance to try drums that were minced through PA - I was sold. I had finally found my thing. And quite soon I got my own drums. And then I played drums in different congregation / school / noise / punk/ grunge /rock etc. bands and later on high school - I met Petteri my lead guitarist nowadays and at some point I switched to guitar as well and man we played and jammed all the time, skipped classes and all and then I started singing and started to write songs because I felt that I was better than previous leaders and songwriters of the bands I played drums in. And when we were in the studio with one of my previous bands - I sang the reference melody for our lead singer to one of my songs (I've just switched to guitar and started to write) - the recording engineer praised my voice and tone. Of course it felt good, but at the same time it felt awkward for our lead singer’s point of view... But that gave me courage to continue on this path. IA: Do you remember at what point in your life when you realize that you wanted to make this a career? HL: That was my goal at the age of five when I heard the first beat and notes of Born In The USA - but seriously when my band (The Matt Pistol Project) had some buzz and we got signed to one of the major agencies: Koetinkivi Oy here in Finland and later on we signed an international publishing deal with Stockholm based Marsongs (now defunct). And when my songs started to be on radios all around the world, especially in USA and online and in some FM-channels as well. IA: Do you come from a musical family background? IA: What was your first instrument(s) that you learned to play? And what was the very first tune or song you learned how to play? HL: [Drums] and first song I learned to play was my first "composition" or song. Lol. I've quite never or seldom played nor rehearsed other artists songs with guitar (as a drummer of course I did) except some great covers on gigs. IA: What and who are your musical influences? IA: I notice that before you decided to go solo, you were in a band called “The Matt Pistol Project” what was it like being a part of that band? HL: Band is like a family with it's good and bad sides. Maybe the chemistry and different life situations and too democratic arrangement policy :) broke the band. And my personal problems then and urge to go solo.. We were bunch of friends and I'm still continuing to work with Petteri and Markku from TMPP. So no hard feelings. And boy it was great to support artists like Bonnie Tyler in front of many thousand peoples! IA: In March 2011 you’ve finally released your debut 5-track EP ‘Run Away With Me’. What was the inspiration for this EP? HL: More personal touch was living very hard phase in my life and so it was therapeutic as well and for more artistic freedom and I wanted to push out more out of my songs. Oh and finding new love in my life inspired me very much. So we started working with Petteri on acoustic vibe and soundscapes and more acoustic traditional Singer-Songwriter type of thing - but label and we thought the songs were so good and versatile to be just pure man and guitar type (of course there is one song of that type too, my first single: "There Is An Angel For Everyone") that I and label asked my good friend Michael Blair and previous producer of TMPP (The Matt Pistol Project) to bring his great twisted magic on percussion and drums and to production and he was in and brought his good friend great Ulf "Rockis" Ivarsson on the bass and Rockis to work as another producer as well, and the Finnish- American-Swedish connection we had, worked like a charm. Yet another top-notch guy a veteran mixing engineer Ollie Olson mixed the EP and Michael's old buddy Legendary Howie Weinberg mastered the EP on Masterdisk Studios on New York. Country boy's (Mine that is..) wildest dreams had come through. And it was great to share the stage with Michael on my EP's release gig here in Helsinki. He had just arrived from States from Hugh Laurie's tour and recording sessions. Way cool. IA: What is your song writing process like? And how do you come up with material for the album in process? HL: I never force myself in songwriting process (You know - like I have to start to write a song). IA: For this EP you worked with the legendary Michael Blair (Tom Waits, Lou Reed, Elvis Costello) and Ulf”Rockis”Ivarsson (Thåström, N. Dunger) as rhythm section and co-producers. What was this experience like for you working with them in the studio? HL: It was great and a dream come true and very, very professional and creative but in the end we all breathe the same air. So they are still legends in my eyes but normal, friendly, moody, sensitive guys and friends as well. IA: You also took part in a documentary “"Maailman Valloittajat"(Veikka Gustafsson, Thomas Johanson and Timothy Kopra) "Conquerors of the World" in English by Olli Pirhonen. And wrote the song is of the same name "Conquerors of the World". How did this collaboration with Olli and you come to fruition? HL: Yeah indeed! It was great honor and experience to be part of such huge project of those Finnish heroes. 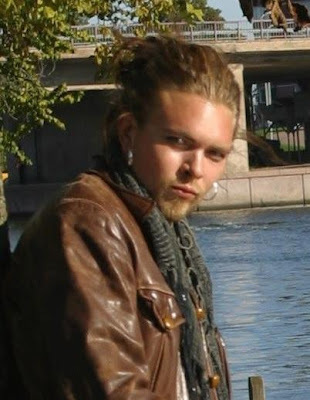 I knew Olli from the past - he was my good friend's friend and we used to hang out in our teens sometimes. Olli likes my music and is a fan and gave me all the freedom - trusted me and that kind of working suits me well. I read lot of background of the heroes and used them as construction parts but I wanted the song to be more universal at the same time and when I got the lyrics ready - I came up with the chorus, well the title was obvious and then all the rest and then we produced it with Michael, sending e-mails and speaking on the phone in the middle of the night, (laughing) to get it to sound right for the project. And the song was ready to give to Publisher and Olli 4 hours before the deadline. And it was very exciting to hear what they would say and to my relief they loved it, without wanting to fix anything in it. I think it's one of my best songs I've written. And all the "Conquerors" liked it very much as well. And goddamn that felt good. An alternate version of the song is in the debut LP that is soon coming out. Our plan is to get it released before the Christmas. IA: What inspires you to do what you do, musically of course? IA: Are you currently working on an album? If so, when should we (the fans) get to listen to it? HL: [Debut LP that is soon coming out. Our plan is to get it released before the Christmas]. On the album you can hear Michael, Rockis, Petteri, Markku. As well as fantastic new players bringing their magic to my songs. And there is one song I've co-written with Michael as well. IA: Any other side projects you are currently working on other than music that you would like your fans to know about? IA: Are there plans for a tour? If so, will it be outside of Scandinavia and Europe? Do you have plans of touring US and Canada one day? IA: Where should your fans try and purchase your music physically and/or digitally? HL: You can listen to my songs for example on my reverbnation profiIe and in Spotify. And from my soon opening websites. Goddamn freaking Japanese? pornfirm stole my domain, we weren't quick enough... I think all the digital stores. For example iTunes, Amazon... and from cdbaby and from some record stores in Helsinki, like from Levykauppa Äx. We have had several distributor and label negotiations but haven't found agreement that suits both of the sides. But suggestions are always welcome. IA: What’s currently playing on your iPod, (laughing)... name at least (3) bands/singers that you’ve got on heavy rotation lately? and Bob Marley's Natty Dread just to mention few. IA: And anything you would like to say to your fans and to the readers of The Invaders Asylum Blog site? HL: I wanna thank everyone who took the time to read my thoughts and please listen to my songs and join my fan groups on Facebook and on other sites. And please spread the word and support by buying if you like what you here. And many thanks for the interview request Ava - a pleasure. And most importantly thank you dear fans for your support! It means the World to me. Greetings from Helsinki! Finland's genre-bending answer to Tom Waits, Nick Cave, Lou Reed & Johnny Cash & Leonard Cohen. METAL CHURCH Reunion On Board 70000TONS OF METAL!